Thomas Archer Lothian II, of Williams Bay, Wisconsin, passed away on May 14, 2015 at the age of 86. Tom was born December 14, 1928 to John James and Catherine (Rogers) Lothian in Cleveland Heights, Ohio. He graduated from Ohio State University in Columbus, Ohio, where he was a member of the Sigma Phi Epsilon fraternity, and where he met his wife of 49 years, Carol Ann (Vichek) Lothian. The two were married on April 20, 1957 in Bedford, Ohio. Tom worked for over 30 years as a professor of chemistry at the University of Illinois at Chicago. In addition to teaching, he also served as the Dean of Students for many years. 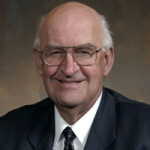 After retiring from the University, Tom served for four terms as a member of the Wisconsin State Assembly from District 32. He was the oldest freshman Assemblyman ever to serve in the State Assembly. In addition to his professional careers, Tom served as a Williams Bay Village Trustee, and was instrumental in the development and restoration of the beautiful Williams Bay lakefront. He also served on the Walworth County Board, and was a past president of the Wisconsin Counties Association. He was a member of several philanthropic organizations, including the Medinah Shriners, the Williams Bay Lions Club, and the Scottish Rite of the Masons. He served as past president of the Lions Club, and was also a former Master of the Glenview Masonic Lodge. Tom was an active member of the Lake Geneva Yacht Club, serving as the commodore of the Club during its centennial. He was also a member of the Board of Directors at the Geneva Lake Sailing School. Tom was a member in good standing of the United Church of Christ in Williams Bay, where he served as a deacon. He was preceded in death by his beloved wife, Carol Ann (Vlchek) Lothian, and his brother, David Lothian. He is survived by his two sons, Thomas (Kelly) Lothian III, of Roselle, IL, and Jack (Erin) Lothian of Williams Bay, four loving granddaughters, and countless friends, colleagues, and neighbors. Visitation will be held Friday, May 22nd from 3pm to 8pm at Toynton Funeral Home, 328 Kenosha St, Walworth, WI. Short visitation will be held on Saturday, May 23rd at 10am at the United Church of Christ, 46 Stam St, Williams Bay, WI with a memorial service to follow at 11am. The family asks that in lieu of flowers donations be made in Tom’s name to the Williams Bay Lions Club, Williams Bay School District, Williams Bay United Church of Christ, or the Geneva Lake Sailing School. On behalf of the Republican Party of Walworth County: thank you Tom for your service to the people of Walworth county. Thank you to your family for sharing you with us and the people of Wisconsin. You were a true gentleman representative. May your soul and all the souls of the faithful departed rest in peace. On behalf of Lakes Area REALTORS Association, and my family, we extend our thoughts and prayers to the Lothian Family in their time of great loss. Tom will long be remembered for his many positive contributions to our community - all '6 Foot 20' of him will be missed.